Tell us a little bit about General Outdoor Advertising? General Outdoor Advertising started as a family business in 1954. Over the decades we have grown, downsized, struggled, and succeeded more than once. 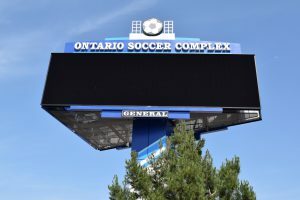 Currently we have half a dozen employees that work very closely to manage a network of 20 digital billboards as well as 30+ bulletins within the Riverside-San Bernardino-Ontario, CA market; locally known as the Inland Empire. 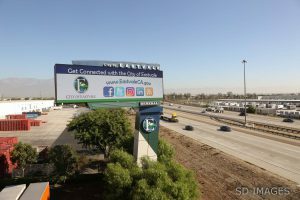 Over the last decade we have built the largest independent network of digital billboards in the Inland Empire. As a family business, I’ve been around it my entire life. From scavenger hunting in the panel yard, to listening in on impromptu business meetings during family dinners as a child. During high school I was officially employed by the company and have been here ever since, learning numerous aspects of the company from the ground up. For the past 10 years, I have had the honor to serve as General Manager. In that capacity I oversee all daily operations including management, staff, sales, support, finances, growth, as well as assisting with development and planning. What do you see as some of the key opportunities and challenges for the OOH industry? Over the last decade, digital billboards (and their capabilities) have created a paradigm shift in the OOH industry. They have allowed us to become incredibly responsive to our customers, filling requests within minutes or hours instead of days or even weeks. The new capabilities also allowed OUR customers to engage the motoring public on an interactive level never possible before (multiple slides, immediate copy changes, timed and calendared updates, conditional messages, countdowns, live data, etc.) so they could now be current, timely, and personable when opportunities arise. Technology from an operational perspective has certainly become more efficient, and has simplified many of our daily operations. The advertising industry has seen an explosion of communications and connectivity over the last several years as we have embraced social media and online marketplaces. It has created many great opportunities but also challenges as we try to keep up with, track, and utilize it. As a small local company, becoming a member of Geopath provided us with an additional layer of credibility. As we make proposals to new and existing customers, they now have an assurance that the quality of our inventory is verified and measurable. And we can provide our clients with third-party measurement data, such as impressions and DMA information, that they can compare and quantify not only against other OOH options but most other media types as well. Start with a clear and simple message and then add a connection to your viewers through emotional means (human interest, style, event) or even just a practical offer (like a special deal or discount). The key is to make sure you have a clear and focused purpose for your ad. Five years from now, where do you see OOH advertising, and advertising in general? I certainly anticipate growth moving forward. I think our products will remain basically the same – billboards and advertising will not change much. But I think we will see substantial innovation and growth in the market place: online databases for research and planning, mapping with interactive tools and demographics, and expanded buying options (traditional, programmatic, etc.) will continue to emerge. And who knows what else? But all of it is creating new ways to connect the OOH industry with media buyers and advertisers.